This the the plain 3-D view, because the AR version shows my shamefully messy office. Focos is back, this time with an augmented-reality lighting tool. 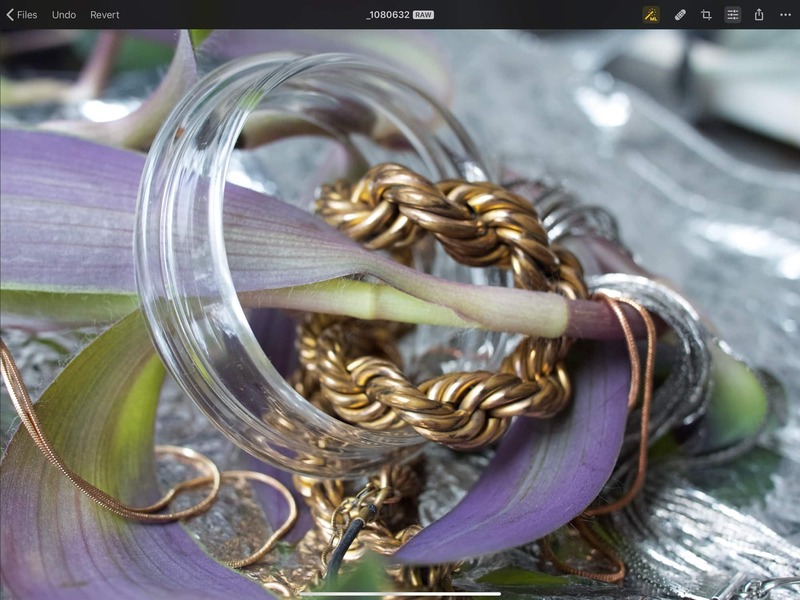 Focos is an iPhone and iPad app for working with your Portrait Mode photos. It lets you edit your Portrait images based on the depth information they contain. Its amazing effects include adding lights to a scene after you shoot it, by calculating the 3D space in the photo. 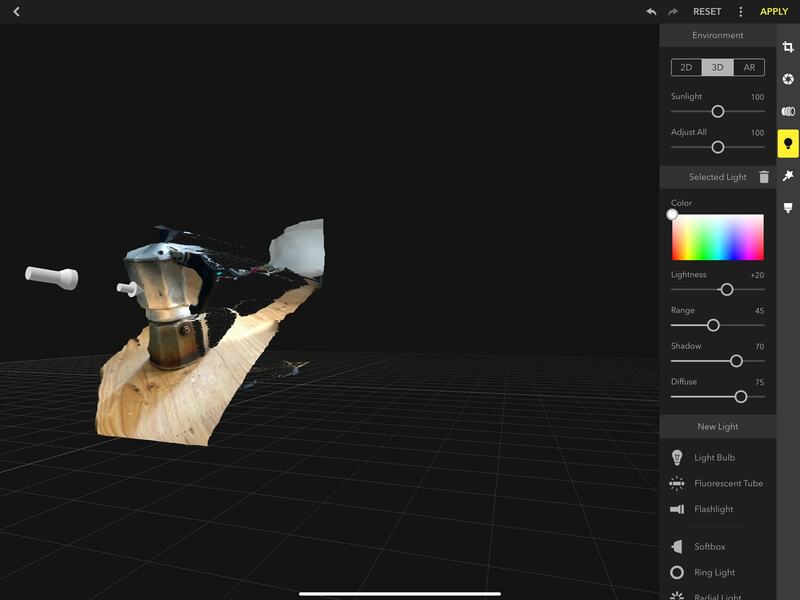 In this version, you can use an AR view that lets you peer into the relit scene by moving your iPhone or iPad around. Twist it, and the 3-D version of the photo turns, showing how the new lights illuminate surfaces. It’s a little finnicky, and having it projected onto a live view through the camera is distracting, but it’s quite amazing to use. ChordPad X is super easy to use. ChordPadX is an ugly app with an even uglier name, but it’s fantastically useful. ChordPadX offers a 4×4 grid of buttons, each of which can be assigned to a chord. Then you hook it up to your MIDI music app (or hardware instrument) of choice, and trigger complex chord sequence just by tapping the pads. Tapping harder on your screen will trigger harder hits, and you can easily pick chords to customize the pads. 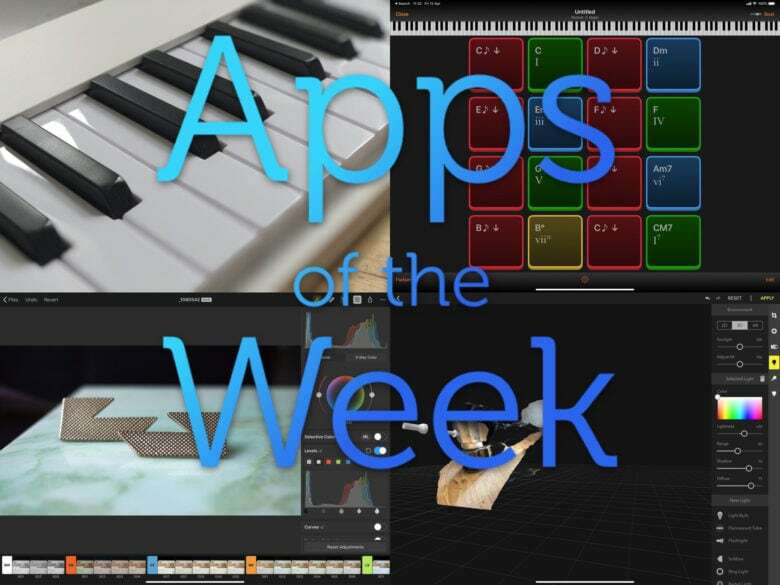 The best app of its type I’ve used so far. 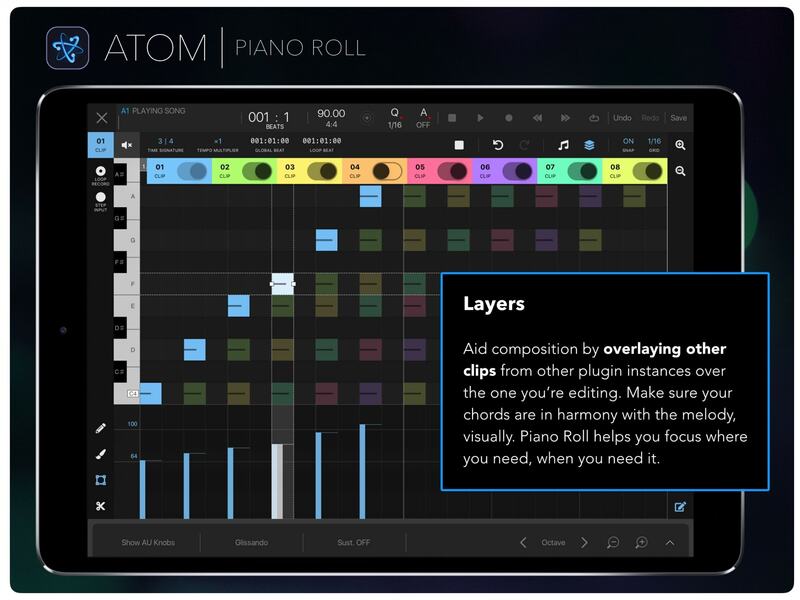 Atom Piano Roll is a virtual piano roll that can be plugged into almost any music app on your iPad. 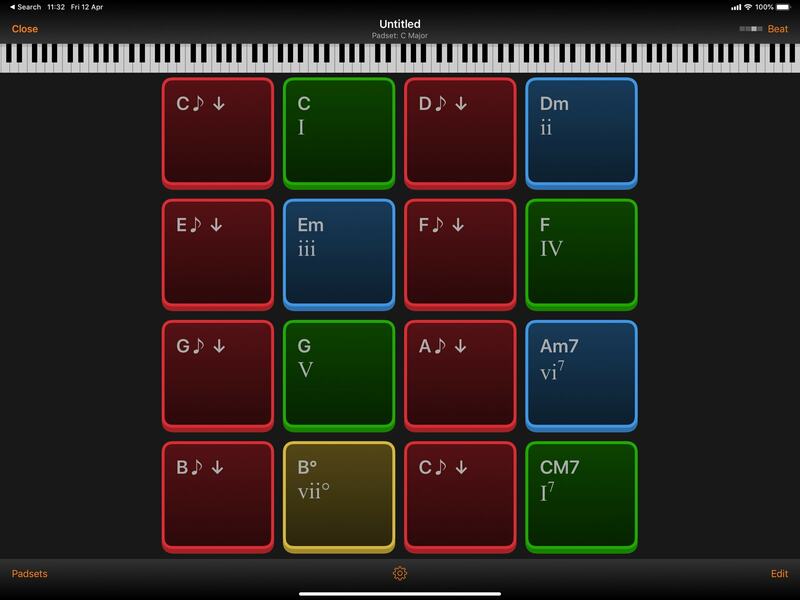 It lets you mark the notes you want to play onto a grid, one note at a time. And Atom has some very clever tricks — for instance, it can overlay the sheets from multiple instruments, letting you easily line up their notes to sound great together. You can even play chords across several different instruments. I reviewed Pixelmator Photo this week, and found it to be an amazing piece of software. It’s not a full-on image editor like Pixelmator, or Pixelmator Pro. Instead, it’s more like Lightroom and Darkroom, tuned for getting the best out of individual photos. And it excels at this task. It uses machine-learning pretty much everywhere to custom-tweak edits, and its built-in filters, or presets, are some of the best around. Highly recommended, especially at this price.